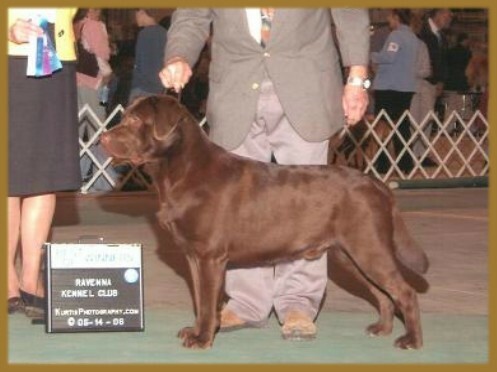 Riley came to us as a show prospect and quickly earned many points toward his AKC Championship. Unfortunately Riley's career was over when he failed to pass his OFA Elbow clearance. 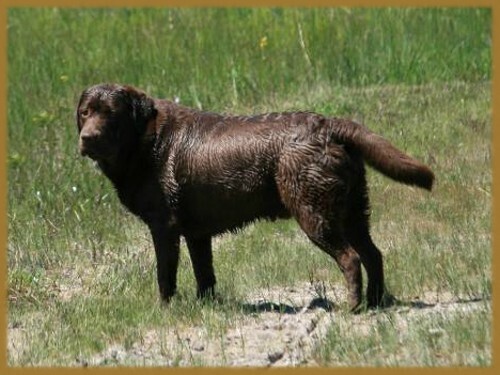 Being the typical lab who loves to work, Riley is currently training for his Companion Dog Obedience title and is truly leading the "Life of Riley".